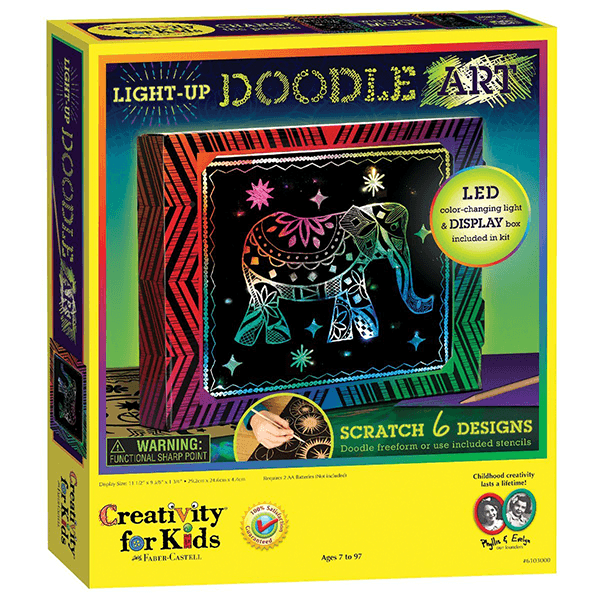 Make, create, and decorate your space with the Light-Up Doodle Art Kit from Faber-Castell. 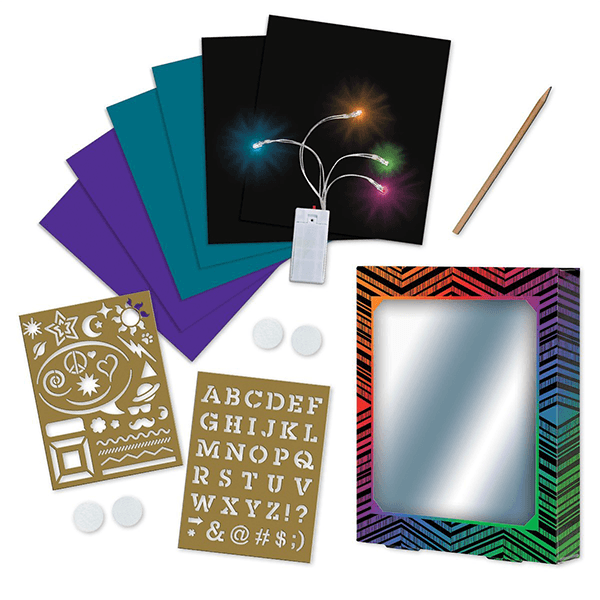 Designed for ages 7 years and older, this kit provides you with all the materials needed to make cool light-up scratch art designs. The colourful frame features a colour-changing light that shines through your doodle creations! Sturdy frame comes with 6 sheets of doodle art paper (2 black, 2 purple, and 2 teal), plus stencils and a doodle tool. Requires 2 AA batteries (not included). Measures 11.5"W x 8.625"H x 1.75"L.. If You Liked Creativity for Kids Light-Up Doodle Art Kit, See More Related Products Below!